An area provider of abstracts, title insurance, and real estate closings for over 100 years. To place an order, please contact us using the information shown below, or fill out our order form here. Our customers are our #1 priority. Our experienced and friendly team is eager to assist in your real estate transaction. Whether you are buying, selling, building, or refinancing your residential or commercial real property, we have the resources you need. Located across the street from the front steps of the Ellis County Courthouse in Hays, Kansas, Field Abstract & Title has been an area provider of abstracts, title insurance, and real estate closings for over 100 years. 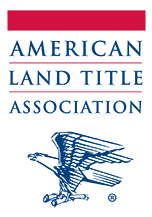 As a member of the Kansas Land Title Association and the American Land Title Association, our company strives to stay up-to-date on current issues in the title industry, and works to provide superior customer service.